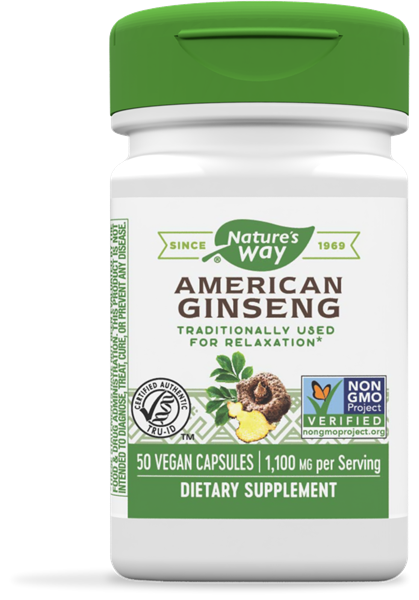 Ginseng, American / 50 Caps - Nature's Way®. Take 2 capsules twice daily. Best if used for a six month period followed by a six week break. Caution: Do not use without supervision of a healthcare professional if you are taking warfarin or any blood thinning drugs. If pregnant, nursing, or taking any medications, consult a healthcare professional before use.